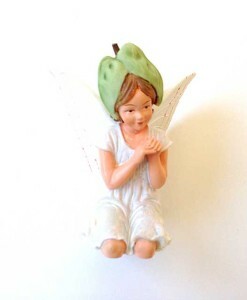 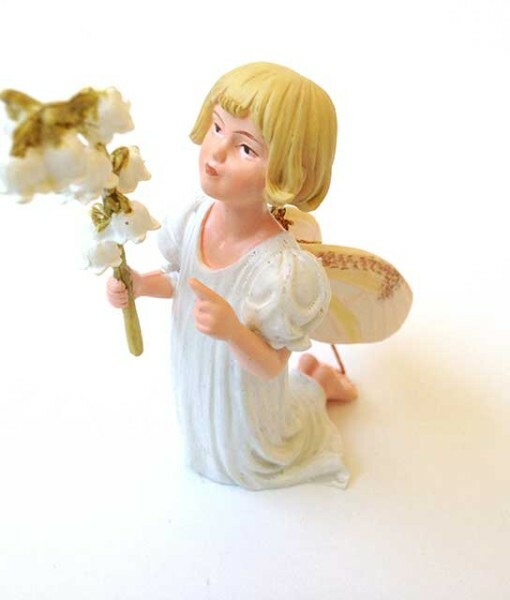 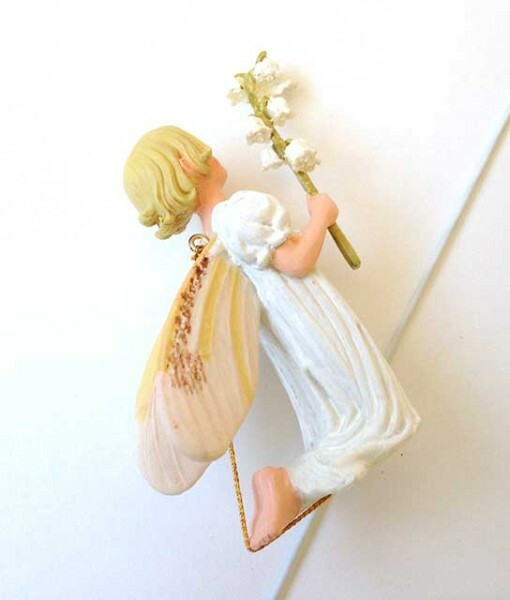 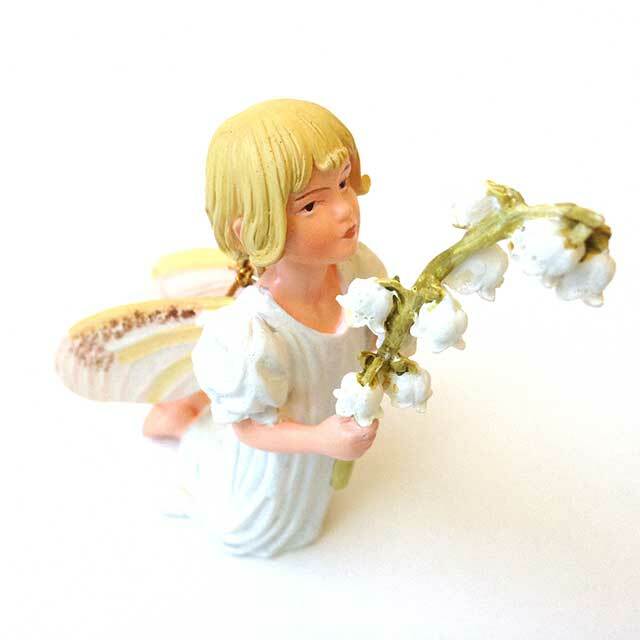 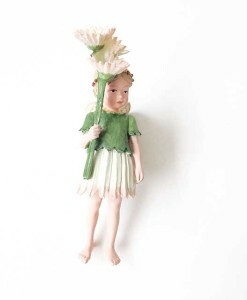 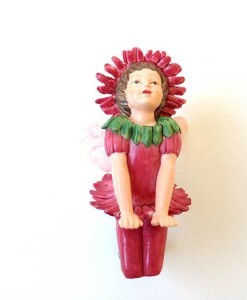 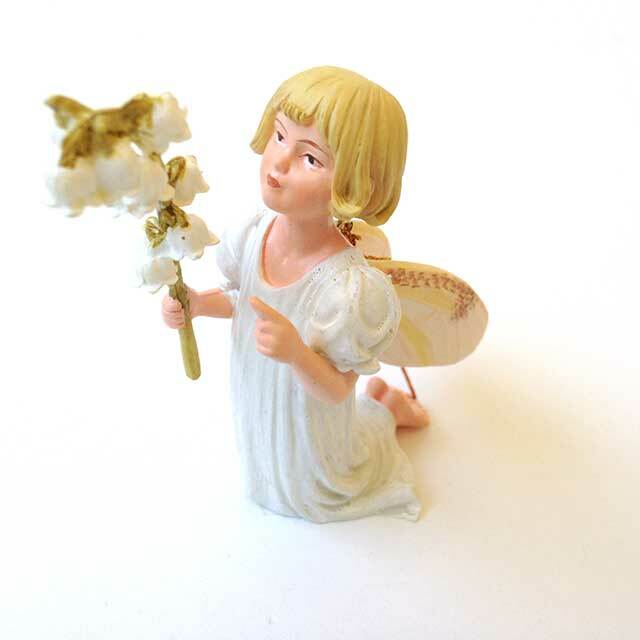 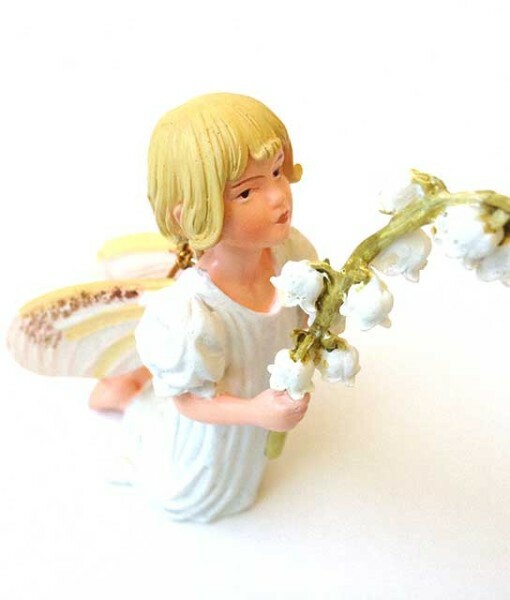 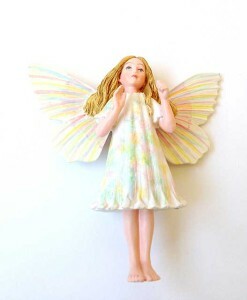 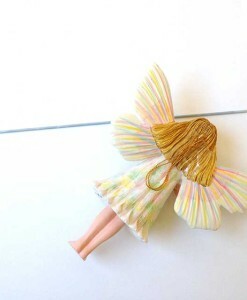 This pretty little Lily of the Valley fairy figurine by Cicely Mary Barker works in cool green settings, miniature woodland gardens, mossy glens. 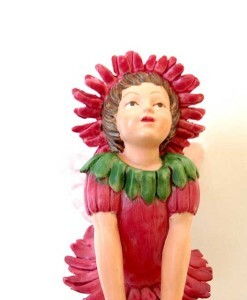 Set in a kneeling position. 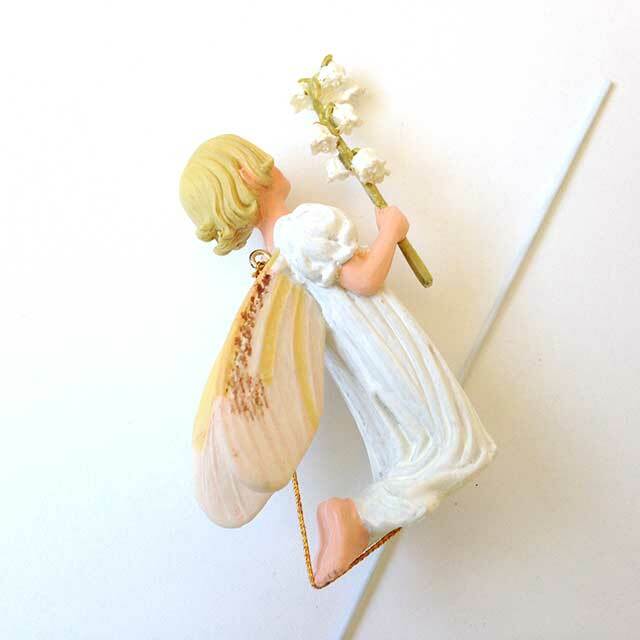 Comes with string for hanging, and a stake for securing in garden soil. 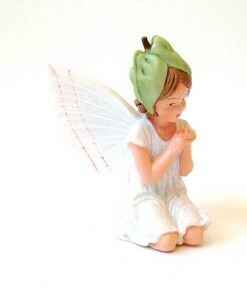 Dimensions: 3 1/16″ tall, 1 1/4″ wide, 2 7/16″ deep.